Will your class escape in time? Try this escape room style game with your students today! This is a fun game that is perfect for the end of the year. Students will be given class awards and reflecting on the year. However, this game is easier, so it is intended for first grade and second grade. For the lower grades, I highly recommend this game to be played as an entire class. There are easier codes, and less reading in this game, as opposed to the upper elementary version of this game. This is an interactive game where the students are timed. The custodian is locking the school up for the summer and didn’t know you were in the building! If you don’t find the keys in time, you will be trapped in school all summer! Students must solve a string of questions and clues, as well as decode different ciphers to escape the school. If your class has never played an escape game before, I suggest playing this as a whole class. However, materials are provided for up to 6 different groups to play at one time. Super fun! The students loved it! BEST RESOURCE FOR EOY FUN!!!! My kids had so much fun!!! My kids had a lot of fun with this! Fun and easy to set up! The kids had a blast with this. This was an awesome activity. I love this and my kids loved it too! My students love playing this! It was a great activity for the end of school. This resource keeps students engaged. This was great!! My students loved it!!! My students absolutely LOVED completing this as a whole class! Wonderful end of the year activity! These were so fun! My kids had so much fun. It was definitely a process putting everything together, but it was totally worth it. I already own the math review, and am definitely considering getting a few more. Thanks for your hard work! I can’t wait to use this at the end of the year! This was an amazing way to end the year. The kids had a great time. Thank you. What a blast this was! My kiddos LOVED this! It was perfect for the last day of school! Such a fun time for the kids. It does take some time to get it all set up, so start the process early getting everything together, but it is so worth the work. This is an amazing resource! My students and I loved doing this so very much! It kept everyone engaged and we had so much fun! My students will enjoy doing this at the end of the year. Loved this!!!! Kids had such a good time! My students and I all loved this activity. It was easy for me to get ready at such a crazy time of year. Now it is ready for me to use at the end of EVERY year. Perfect for the end of the school year to keep the littles busy! My kids really loved this activity. My kids go crazy for your Crack the Codes! Thank you! Awesome product! The kids had so much fun. Thanks. Can’t wait to try this with my students! Fun end of the year activity!!! I look forward to using this! Love your other products I have used! Very fun last day of school activity! Fantastic Unit!! I cannot wait to use this for the upcoming school year!! This is an amazing product! It was perfect for out last day of school! This product looks amazing. I didn’t get to use it yet but I will for sure. 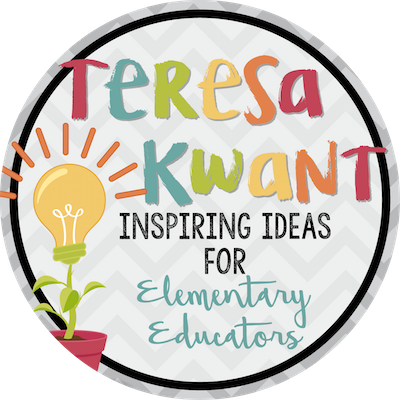 Wonderful activity to keep kid’s engaged at the end of the year! What a fun way to celebrate our community and growth! Great product! My kids LOVED this! Great to do for those last crazy days of school! Kids loved it! Loved using this! My kiddos loved it! My first graders had a blast with this, and so did I! I will definitely do it again next year. Super cute! My kids loved it! Great Game for the whole class!! Easy and FUN end of year activity. Love this! Fun product for younger kids! This was so fun for my class to complete at the end of the year and it was great review. My Class loved this activity. They had so much fun doing this the last day of class! This was great, so much fun, thanks! Escape rooms are such fun! Fun activity for the end of the year! The was a super fun end of the year activity, it takes a little setting up but it is well worth it. The kids loved it and it was a unique experience! Was a little difficult for my first graders, but I had some 4th grade buddies come help! My students had so much fun with this! They loved getting their awards and were so happy they could escape the school for summer! My students can’t wait to use this at the end of the year! Thank you! I cannot wait to use this next week with my students. It is something they are not use to and will keep them engaged. My students will be doing this activity during our end of the year “day of fun”! I am so excited to try this out and to watch them work together to escape the classroom 🙂 Thank you! Awesome! My students loved it!! i’m excited to use this for my last group of the year! I have purchased other escape rooms from this seller and enjoyed them, so I expect we will love this one too! Very fun end of the year activity. These take a little bit to get together, but it is 100% WORTH it!! The kids love it and I love how engeged they are. Perfect for end of the school year activity! I’m very excited to use this with my class! Directions are very easy to follow to put the activity together. I love the Break out sessions!!! My kids LOVE them just as much as I do!! Thanks for creating these!! This looks like learning and fun together!! I found the 6×9 envelopes at the Dollar Tree and there were 6 in a pack for $1.00. I used those for the entire project. I cut one 6×9 in half to use for the small envelopes. This worked out great for me because both ends would be sealed with no added expense of different types of envelopes. I am starting this next week and I am so excited to the end the year with this and the Memory Book Crack the Code! 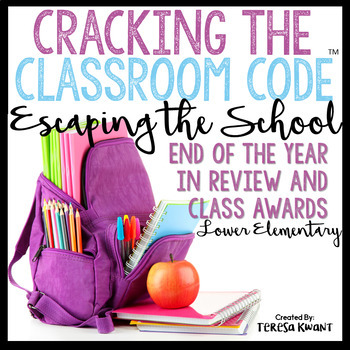 Every other Crack the Code I have purchased from you has been amazing and my students can’t wait to do another! Thank you for providing such fun and engaging activities! Can’t wait to use this with my class as an end of the year activity! My kiddos loved the Holidays Around the World escape room and I’m excited to do this one with them! My students are excited to do another one! I am always troubled to find activities that fit my elementary resource room that are high interest-low level. This activity is PERFECT!! The students love the activity, but the concept isn’t too hard for them. Thanks! These activities are so fun! My students love them. My students thoroughly enjoy these activities and I have purchased numerous from your store. I plan to keep buying them as you continue to create more! I love that this one allows students to nominate each other for awards! I’m excited to crack the classroom code with my class! Thank you! This looks awesome! I cannot wait to share this with my students. So excited to use this! Thank you for an awesome product! my kids absolutely love these. they are always so excited to do them. they are highly engaged when we do them. We did the St. Patrick’s Day escape room and my kids loved it! I can’t wait to do this one! It’s a great way to end the school year. I love the idea of giving students awards. My class really enjoys your Cracking the Code activities. I am excited to have this one! My kids love to work on the Crack the Code. It is amazing. Such a fun idea for the end of the year! My students love the challenges of these activities. I have most of the math ones, and they have been a huge success. I look forward to using this one and seeing who gets chosen for the awards. I can not wait to use this at the end of the year! I have all of the other ELA ones and they have been a huge success this year! Thank you for creating all these fun games!